Light constitutes one of the most important environmental factors for plant growth and development. It determines the photosynthetic rate and accumulate-assimilation besides its regulatory roles in plant growth and productivity. However, plants are frequently exposed to excess or inadequate light intensities and these fluctuations, collectively known as light stress, affect the agronomic traits in plants via inhibiting their physiological metabolic processes including photosynthesis, antioxidant machinery, and their abilities to fix atmospheric carbon and nitrogen. Within the photosynthetic machinery, photosystem II (PSII) and its reaction centers are particularly sensitive to these perturbations and have therefore been characterized as primary targets of light stress at physiological, biochemical, and molecular levels including microRNA (miRNA)-mediated post-transcriptional modifications. 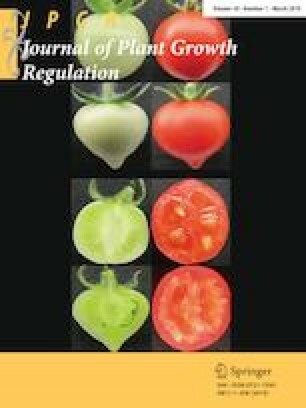 Through this review, we are presenting herein the current knowledge and recent updates on light stress and its significance for plant growth and crop yields, plant responses, and multilevel adaptation strategies to cope up with light stress including excess and low light. The review highlights and assesses the utilization of biotechnological tools for engineering light stress tolerance in major crops and model plants including omics and transgenic approaches and exploration of molecular markers and quantitative trait loci. The roles of miRNAs in regulation of light stress responses and adaptive mechanisms in plants have been discussed besides emphasizing on possible exploration of light-regulated miRNAs as potential targets for engineering light stress tolerance in crop plants. This work was supported by the National Major Project of Science and Technology on Water Pollution Control and Management of China Comprehensive Treatment Technology and Research Project in Liao River Basin (No. 2012 ZX072009), Jilin Provincial Department of Education “13th Five-Year” Research Funding Project (JJKH20170341KJ), and Jilin Agricultural Science and Technology College Youth Fund Project (20171110). VK and JT conceived the idea; BY, JT, ZY, TK, AS, SD, and VK prepared the manuscript. All authors contributed substantially.